These felt christmas wreaths are handmade from 100% New Zealand wool. Bright in colors , they give and elegant look being the conversation starter. It makes the wonderful Christmas decorations or decoration for any functions or occasions. These can be the best choice to hung over a mantel piece or on your front door. It can also be a perfect gift or you can keep it yourself. 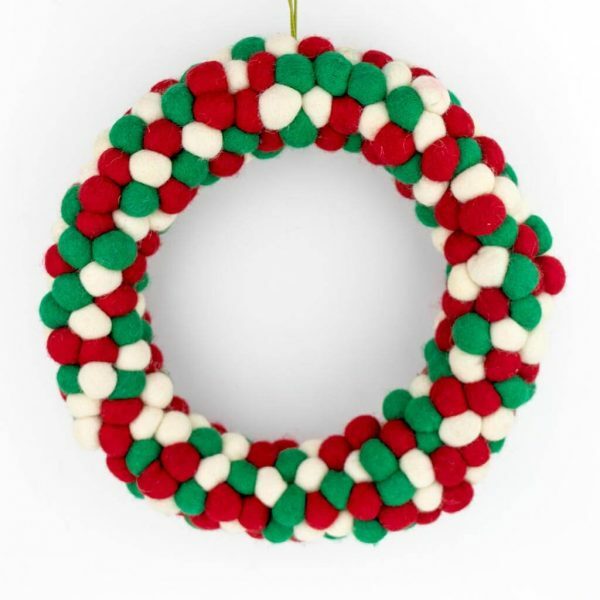 These felt ball christmas wreaths are handmade from 100% New Zealand wool. Bright in colors, they give and elegant look being the conversation starter. It makes the wonderful christmas decorations or decoration for any functions or occasions. 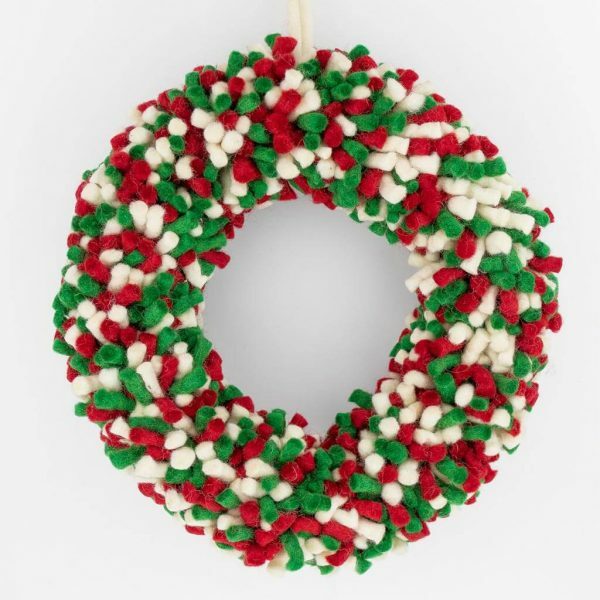 These can be the best choice to hung over a mantel piece or on your front door. It can also be a perfect gift or you can keep it yourself.